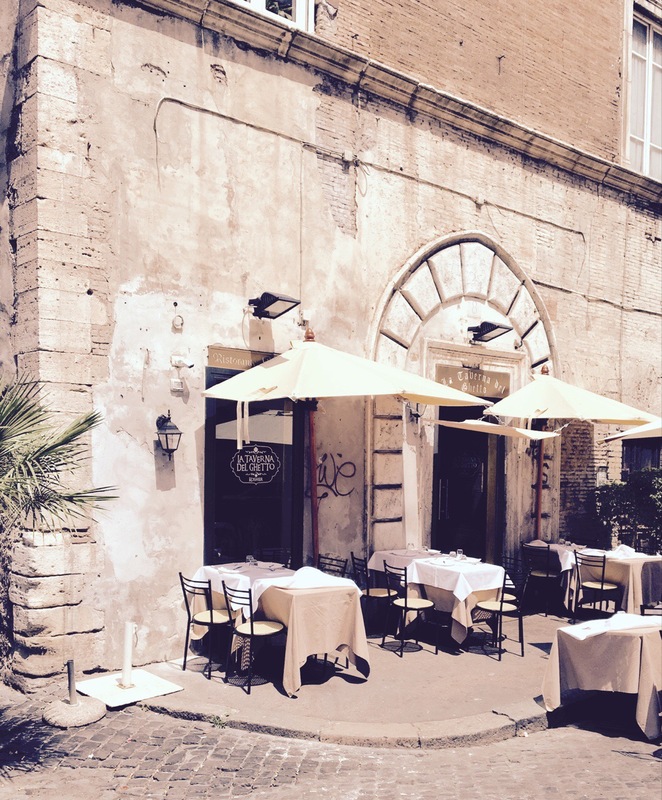 We used the taxi’s in Rome extensively when moving around and on one of these excursions we went to see the Barbie and Mucha exhibition. On this trip we walked around the Campidoglio area, although this time we passed the excellent Capitoline Museums. My wife and I had visited the museum when we were in Rome some years ago and the children could not stomach another museum immediately after the exhibition. From there we continued towards the Marcello Theater and then took a turn to walk past the Temple of Apollo Sosianus. At this point we were rather exhausted from all the walking and the high noon sun. 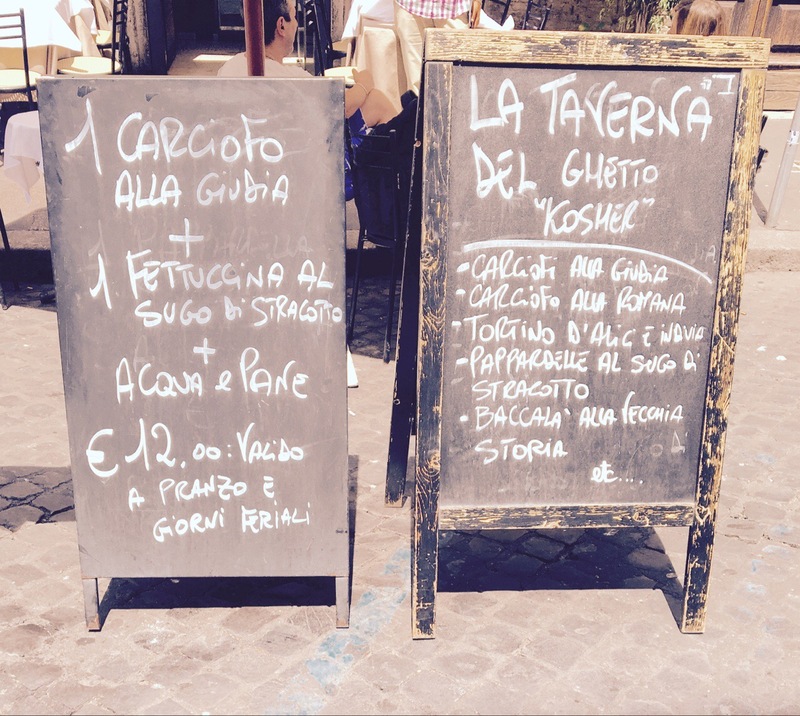 Strolling through the streets of the Roman Ghetto, we were engaged with various restaurant “in-throwers” (is there a better term for these?) 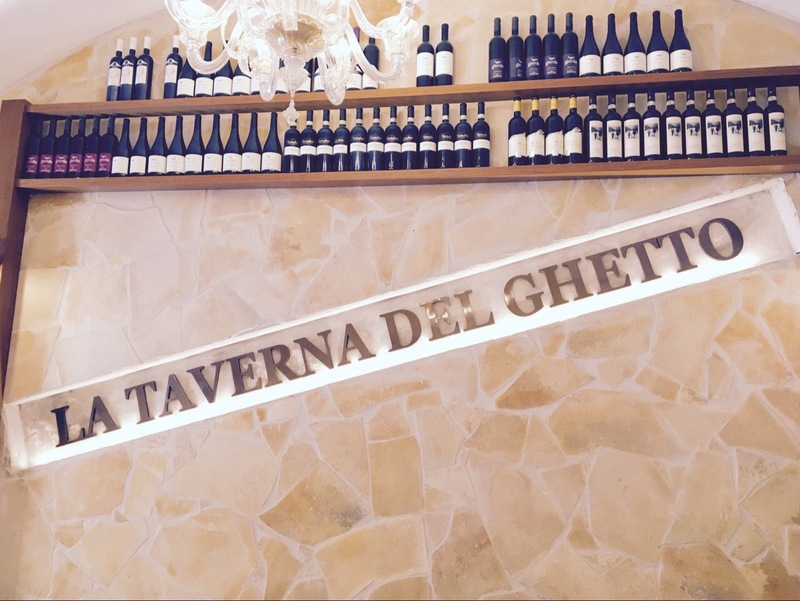 and as much as I dislike the custom of peddling the restaurant we did ultimately decide to enter the La Taverna del Ghetto. 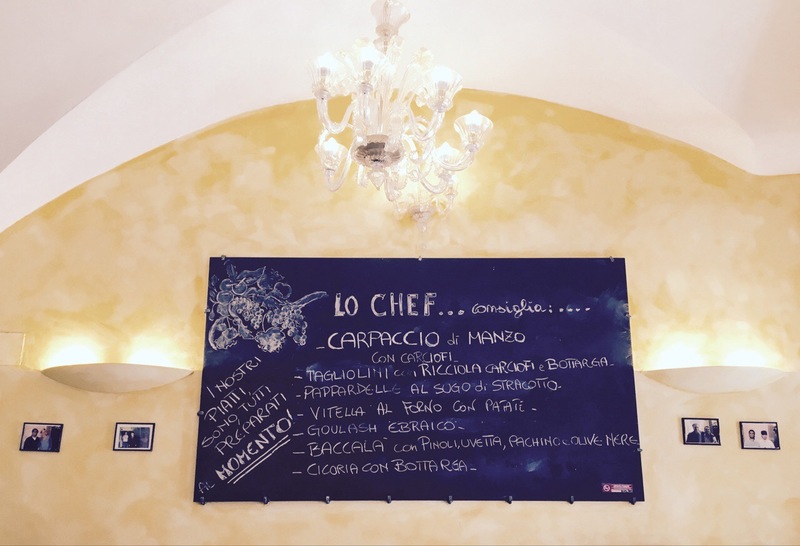 The heat was just too much and the fixed price (12e) menu with an apéritif, a starter and a pasta dish with water included sounded good enough. At first we sat down outside in the lovely terrace by the street, but as the restaurant had air conditioning, we moved inside. 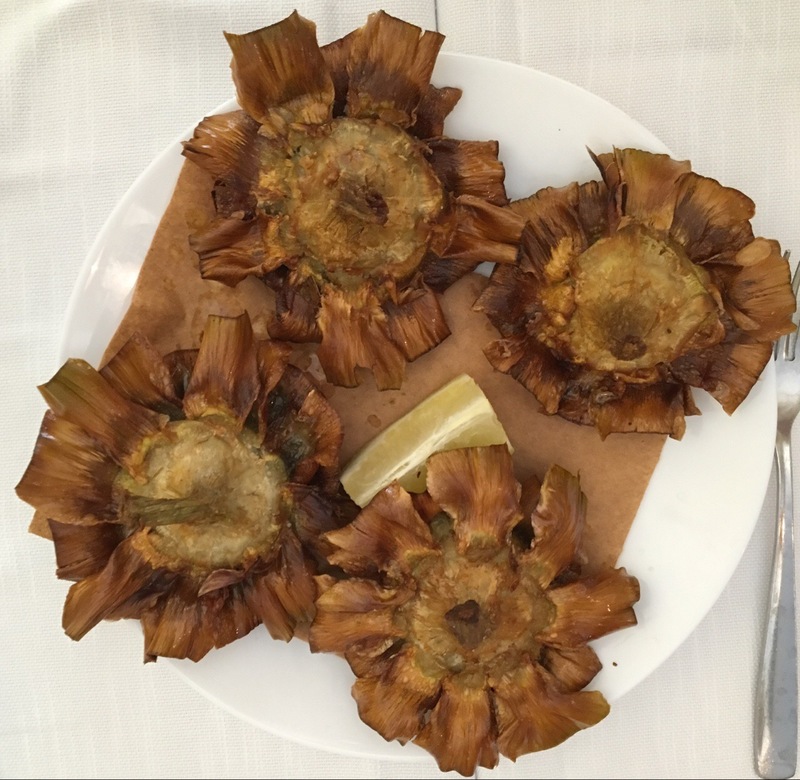 The starter was grilled artichokes with some lemon. I liked these and got quite enough as the children left quite a bit on their plates. The bread was also included in the menu and we got some balsamic vinegar and olive oil to dip the breads in. 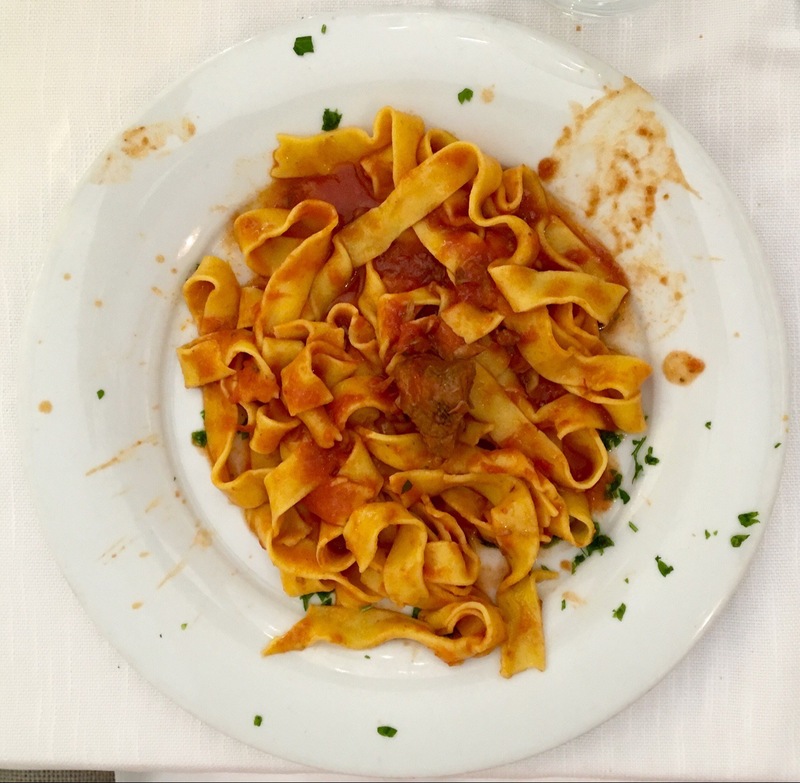 The main course (sorry for the horrible picture) was Fettuccine al sugo di stracotto (pasta with a tomato and meat sauce). This was a lovely dish with a great tasting sauce and high quality pasta. 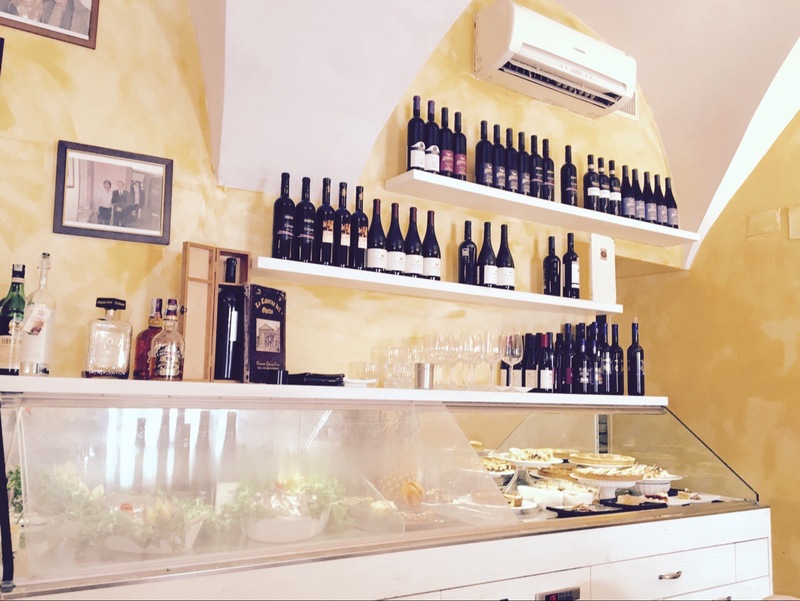 This was one of the better pasta dishes we had in Rome and I highly recommend the restaurant as I feel it was very good value for money, especially considering the area it’s located in. 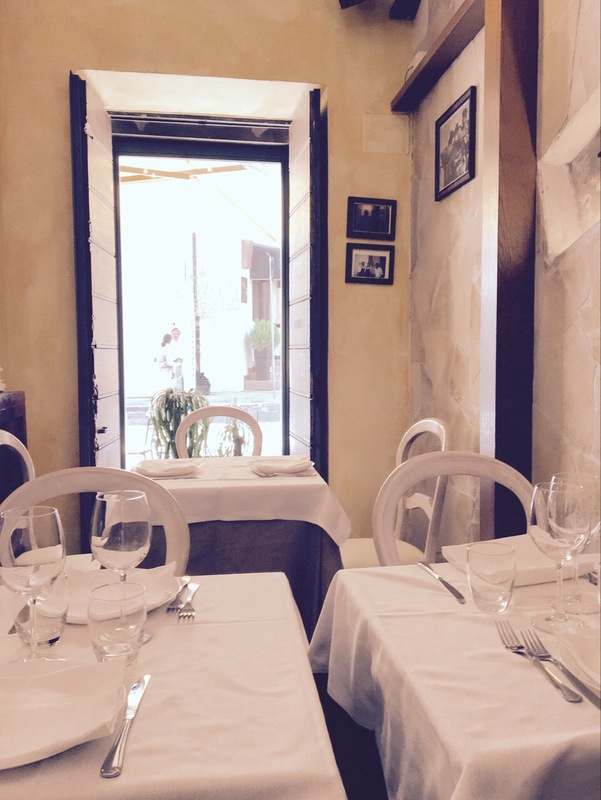 The restaurant was charming and well kept, with white tablecloths and some pictures from past customers lining the walls. We had a wonderful time here and felt very welcome as the staff waited on us. The kids were also well received by the waiters. After the relaxing and filling meal we went off and started trekking towards the Torre Argentina Cat Sanctuary. 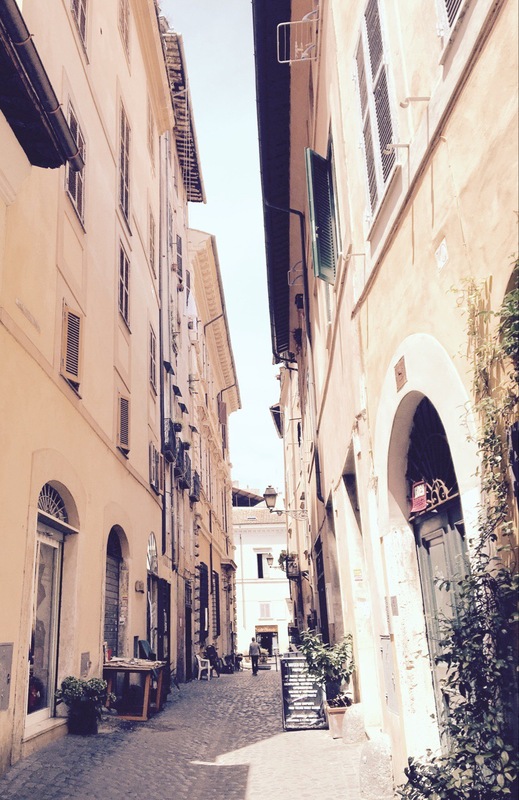 That was a blast with the kids and from there it was just a short walk to get to the Pantheon and Piazza Navona. And then it was time once again for a taxi back to the hotel.